Dr Jun DING obtained PhD from Ruhr-University Bochum in 1990. After working as Research Fellow and Senior Research Fellow at University of Western Australia for 6 years, Dr Ding joined National University of Singapore as a Faculty (NUS). 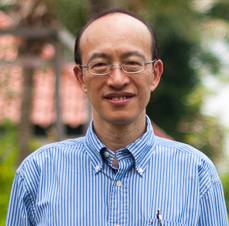 Now, he is Professor at Department of Materials Science & Engineering (NUS). Dr Ding has been working in magnetic materials for ~25 years. He has published over 300 papers with > 6000 cross citation and H-index = 42 (updated: March 2013). His current research work focuses on nanomagnetics and magnetic nanoparticles for bio-medical applications.